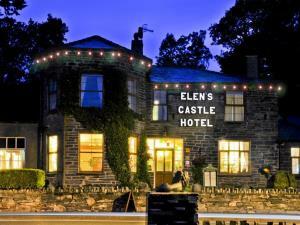 Elen's Castle Hotel01690 750207work HotelFantastic 18th century coaching inn set in the heart of the Snowdonia National Park. Whilst retaining its historical charm and many original features, it is now a fully modernised hotel in a peaceful, village setting away from the crush of tourists. An award-winning restaurant, a cosy bar with a log-burning stove, a large car park, free Wi-Fi, USB charging points in most of the rooms, a warm welcome and excellent service await you at this highly recommended hotel. For up to date availability, special offers and online booking please go to http://www.hotelinsnowdonia.co.uk or phone us on 01690 750207. The grid shows the prices and daily availability from Wed 24 Apr 19 to Wed 1 May 19. It's easy to check availability for particular dates; just use the calendar to choose the check in date, select the number of nights and click the 'Search' button. Click the Book Now or Book Direct button to book the highlighted days. With Book Now the room booking will be confirmed immediately, with Book Direct the room reservation will be confirmed within 24 hours.. 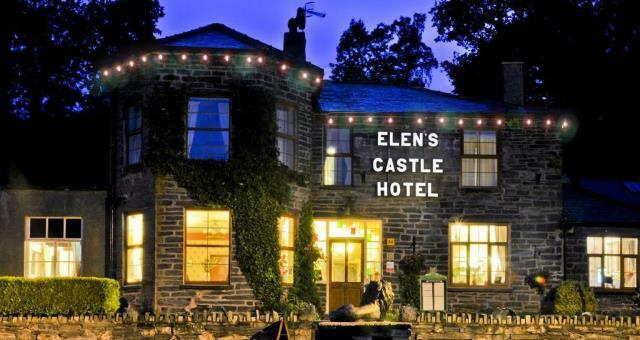 Fantastic 18th century coaching inn set in the heart of the Snowdonia National Park. Whilst retaining its historical charm and many original features, it is now a fully modernised hotel in a peaceful, village setting away from the crush of tourists. An award-winning restaurant, a cosy bar with a log-burning stove, a large car park, free Wi-Fi, USB charging points in most of the rooms, a warm welcome and excellent service await you at this highly recommended hotel. We have a Visit Wales Cyclists Welcome Award and a Visit Wales Walkers Welcome Award We have a Green Tourism Silver Award for our carbon-neutral hot water and heating! We have a Conwy Rural Business Award for 'Eating Out - promoting local produce'. We are also listed in the AA Pub Guide and recommended by Good Hosekeeping Children welcome from any age. By road: situated on the A470 between Betws-y-Coed and Ffestiniog. By public transport: 5 minutes walk from Dolwyddelan train station, on the main X1 bus route between Llandudno and Blaenau Ffestiniog.